Davis Law Group founder Chris Davis has been recognized as being among the “Top 100 Trial Lawyers in Washington State” by The National Trial Lawyers. The National Trial Lawyers is a professional organization composed of the premier trial lawyers from across the country who exemplify superior qualifications as civil plaintiff or criminal defense trial lawyers. "I am honored to be considered one of the top attorneys in Washington State," said Davis. "I want to continue to be an advocate for injury victims in the state." 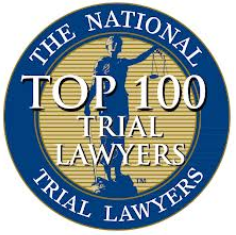 The National Trial Lawyers: Top 100 an invitation-only organization composed of the premier trial lawyers from each state in the nation who meet stringent qualifications as civil plaintiff and/or criminal defense trial lawyers. Selection is based on a thorough multi-phase process which includes peer nominations combined with third-party research. Membership is extended solely to the select few of the most qualified attorneys from each state who demonstrate superior qualifications of leadership, reputation, influence, stature and public profile.